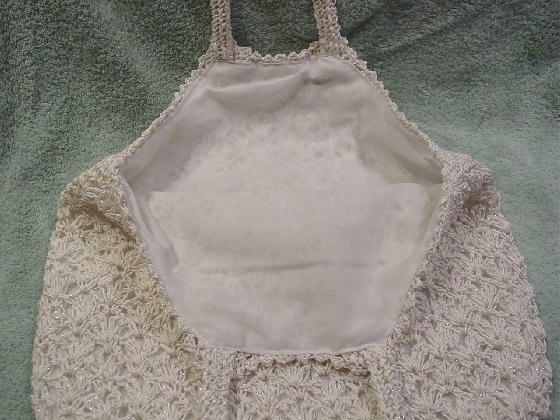 This white twine woven purse has a full 100% polyester lining. 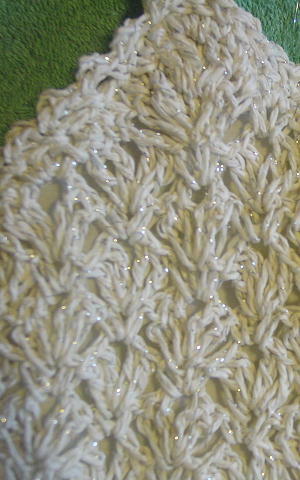 The open weave design pattern has silver metallic thread accents all over. The front and back look the same. 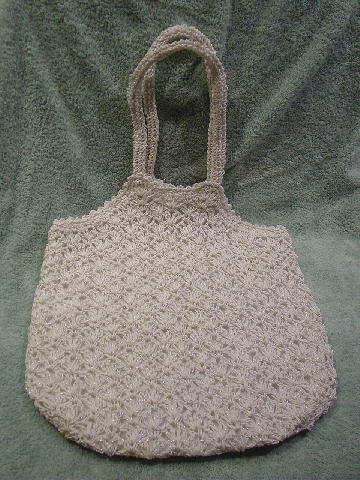 It has two woven 21" long by 3/4" wide (9 1/4" drop) handles.